It may seem like Online Reputation Marketing (ORM) and Search Engine Optimization (SEO) are the same thing, but they’re actually distinctive online marketing practices that happen to have a few similarities. If you want your online business or web site to succeed and discover what your niche markets are, it’s highly important to master the basic principles of both online marketing methods. Digital marketing and advertising yourself online takes a great deal of intellect, web-based resources, and stamina to conquer. Not only do you need to know how to obtain and maintain the proper online marketing tools at your fingertips, but you also need to learn how to use them effectively. That’s how a strong combination of reputation management and SEO strategies can vastly improve your overall online image and search engine rankings. ORM is a much broader method of online marketing than SEO in the sense that it involves helping to improve more than just search rankings. Like the name suggests, the goal of ORM is to either recover a company or individual’s online reputation or help them develop a strong one through various marketing tactics. The chief tactic is to create more positive and meaningful content with the intent of letting the good content overpower any negative existing feedback or any poorly conceived articles they might have produced sans professional guidance. Essentially, this good content should eventually push the negative content to the 2nd or 3rd page of SERPs where it’s a lot harder to find. SEO is a lot more precise than ORM. The main objective is to starkly push a company’s or individual’s web site to the first page of Google’s rankings to establish higher visibility to existing and prospective customers. The type of content on the web site being promoted doesn’t effect the rankings of the site as long as specific relevant keywords and phrases are implemented throughout the web site. By now, it should be easy to see that ORM and SEO aren’t necessarily mutually exclusive practices in the realm of online marketing. The two go hand-in-hand and ORM actually makes good use of SEO techniques in the sense that the end goal is practically the same: both methods are meant to generate more interest, a higher customer base, and a greater ROI for the business or individual in question. ORM companies will use whatever means necessary to create better search results for their clients and SEO techniques such as positive keywords and relevant article topics are the best way to achieve good results all around. The answer is simple: you need both. In some cases, high ranking SEO results can be a by-product of really good ORM work, but that’s not always guaranteed. In order for people to be able to see all of the good aspects of your company online, they need to be able to actually see your company. In that sense, even good ORM work would be moot if you don’t have the SEO-powered online visibility to propel your Google search engine rankings. 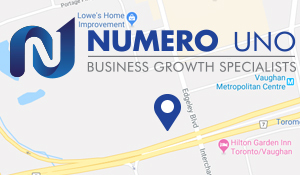 At Numero Uno Web Solutions, our online marketing experts employ both ORM and SEO strategies to propel and improve the web-based images of our clients. 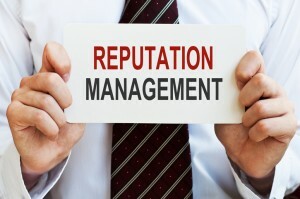 We offer exclusive, knowledgeable, and proven online reputation management and SEO tips and strategies that meet the specific needs of each of our clients to help them develop a strong and marketable online presence. Our comprehensive ORM and SEO expertise has benefitted numerous clients across all fields in Toronto, Richmond Hill, and Vaughan. We even have clients throughout the United States who are seeing excellent results from our efforts. Our commitment is to help our clients acquire meaningful leads and generate good online revenue. To learn how we can help improve your online presence, please call us at 1-855-SEO-XPRT.